Discover NEX: the new generation of flying sail furlers, developed through Profurl's know-how and R&D. The NEX has been developed to improve performance of your yacht and ensure safe, optimum deployment of your flying sails. Discover NEX: the new generation of flying sail furlers, developed through Profurl's know-how and R&D. The NEX has been developed to improve performance of your yacht and ensure safe, optimum deployment of your flying sails. NEX is made for every sailor, professional or amateur. Cruising Boats to: 27' or a maximum Gennaker of 370 square ft of sail. NEX 0.9 is delivered on standard with clevis pin snap shackle and HR D shackle. Includes a thimble for each end of the anti twist rope. Cruising Boats from: 28' to 32' or a maximum Gennaker of 645 square ft of sail. NEX 1.5 is delivered on standard with clevis pin snap shackle and HR D shackle. Includes a thimble for each end of the anti twist rope. Cruising Boats from: 33' to 42' or a maximum Gennaker of 860 square ft of sail. NEX 2.5 is delivered on standard with clevis pin snap shackle and halyard shackle MX8. Includes a thimble for each end of the anti twist rope. Cruising Boats from: 43' to 55' or a maximum Gennaker of 1600 square ft of sail. 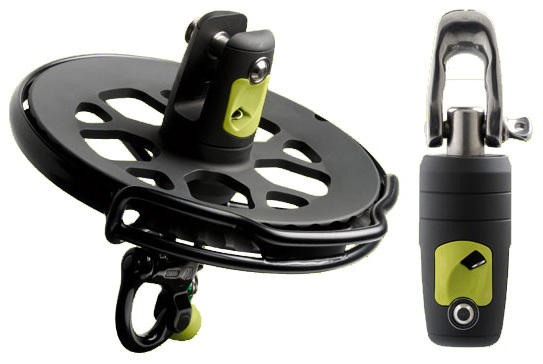 NEX 5.0 is delivered on standard with clevis pin snap shackle and a halyard shackle MX10. Includes a thimble for each end of the anti twist rope.